The RN to BSN completion program is designed for associate degree or diploma registered nurses (RNs). Students complete requirements for the Bachelor of Science degree with a Nursing major through UW-Stevens Point. The RN to BSN Completion baccalaureate degree in Nursing at the University of Wisconsin-Stevens Point is accredited by the Commission on Collegiate Nursing Education, www.aacn.nche.edu/ccne-accreditation, One Dupont Circle, NW, Suite 530, Washington, DC 20036, 202-887-6791. The nursing curriculum consists of 31 required credits: 6 core courses, 2 electives, 2 additional required courses, and a capstone course. Local, face-to-face nursing courses are offered at UW-Stevens Point and UW-Marathon County in Wausau, in a four-semester rotation to allow completion of the program primarily in-person. Alternatively, BSN@Home offers multiple sections of nursing courses fully online. Core courses are offered each semester and in the summer. Nursing elective courses are offered each semester, with limited offerings available in the summer. The BSN@Home courses are taught by UW-Stevens Point and five other UW campuses; therefore, students taking BSN@Home courses can expect instruction to originate from any of these universities. According to the American Association of Colleges of Nursing, 35 percent of nurses had attained BSNs as of 2008, whereas 55 percent were BSN-credentialed in 2013. Many institutions require the BSN for nurse leadership roles, case management and supervisory positions. The Institute of Medicine recommends that 80 percent of all nurses should have baccalaureate degrees as a means to raise the skill levels of today's nurse workforce. Coursework will prepare registered nurses for leadership roles and broaden theoretical understanding and clinical skills for caring for patients in various settings. Students will increase skills of technology and communication while gaining a greater appreciation for the interdisciplinary aspect of nursing practice. Students register for nursing and support courses by applying and being accepted at UW-Stevens Point. Apply online for admission at https://apply.wisconsin.edu. Application fees apply. Students who were past students pay no application fee and apply as a re-entry student. 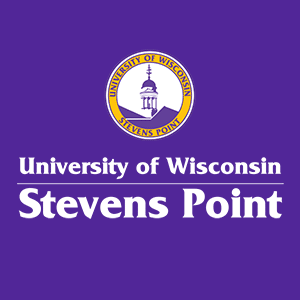 Forward all post-secondary transcripts to Admissions, UW-Stevens Point. These must be official transcripts. On the application indicate your major as "Nursing."